This followed a search by authorities of Mr Taki’s car and home, and a subsequent arrest after traces of cocaine were found in a urine test. The actor is a member of the pop group Denki Groove. He is also the voice of the snowman Olaf in the Japanese version of Disney’s Frozen. But it is his role in a video game that is attracting the most controversy. 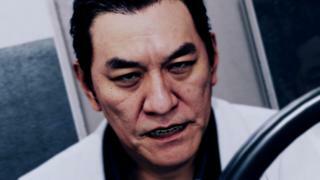 Judgment, which is called Judge Eyes: Shinigami no Yuigon in Japan, features the voice and likeness of Mr Taki – who plays a Yakuza gangster called Kyohei Hamura. “Sega has received the arrest reports and are currently confirming the facts, but for the time being, we will voluntarily refrain from shipments and digital sales of [Judgment], as well as from things like posting the product’s homepage,” the company said in a statement, as translated by the games website Gematsu. This is not the first time that Sega has changed the course of a game because of an actor’s conduct. When the company re-released Yakuza 4 for the PlayStation 4 in Japan, one of the game’s main protagonists was recast to be played by a different actor, Toshiki Masuda. “This game Judgment is a spin-off from the Yakuza games series, so now there have been two actors involved with this game series allegedly involved with cocaine,” said Jake Adelstein, an investigative journalist based in Tokyo. “In Japan, that’s not a publicity plus. Even if Mr Taki is recast, it may be hard for Sega to erase him entirely from the virtual world of Judgment. “Video game fans are nothing if not diligent, and bootleg translations of foreign games crop up fairly frequently,” says games journalist Elliot Gardner.